Justice Secretary Vitaliano Aguirre II on Sunday linked Sen. Leila De Lima to the killing of Albuera, Leyte Mayor Rolando Espinosa. 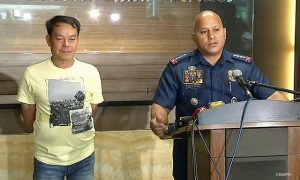 In an interview on radio dzBB, Aguirre called De Lima the “common denominator” in the killing of a Cebu policeman who allegedly squealed on narco-generals; the fatal stabbing of alleged drug lord Tony Co inside New Bilibid Prison; and Espinosa’s shooting on Saturday. 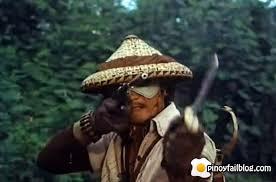 Witnesses swear that they saw Lito Lapid several meters from each scene of the crime……. De Lima files petition vs Duterte at Supreme Court. 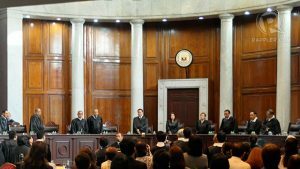 The battleground has shifted to the Supreme Court (SC), as Senator Leila de Lima filed a “test case” against her number one accuser, President Rodrigo Duterte. Malacanang is now directing the NATIONAL PRINTING OFFICE to churn out 4M Pardon Forms for the President’s ready signature. 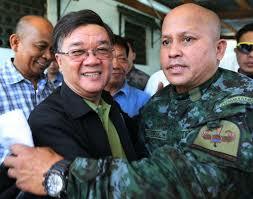 Meanwhile, the Leyte Provincial Jail shall be named shortly as ESPINOSA MEMORIAL JAIL. MANILA – Former President Benigno Aquino III said he will be monitoring the investigation into the killing of Albuera town Mayor Rolando Espinosa inside a jail cell in Leyte. “The United States continues to place high value on the close ties that exist between our countries,” State Department Secretary John Kerry said during a swearing-in ceremony for the new US ambassador to Manila, the Korean-born diplomat Sung Kim. Senators protested on Friday a colleague’s statement that some of them are “apologists” of President Rodrigo Duterte, saying it was “uncalled for” and “absurd.